A pheochromocytoma is a type of tumor found in the adrenal glands or certain nerve cells. These tumors are very rare but can cause dramatic symptoms because they tend to secrete large amounts of certain hormones called catecholamines. Though some pheochromocytomas can arise in nerve cells, almost all of them tend to be found in one of the two adrenal glands. These tumors are almost always non-cancerous, but they still require treatment because of their hormone-releasing abilities. Pheochromocytomas produce high levels of chemicals called catecholamines, which are strong hormones associated with stress, and they act on the cardiovascular system to increase heart rate, blood pressure, and blood flow. These tumors commonly produce epinephrine (adrenaline), norepinephrine and dopamine -- three compounds that are among the strongest known for increasing blood pressure. The body normally uses tiny amounts of these chemicals to respond to dangerous or stressful situations. Even in small amounts, all three have large effects on blood pressure. Because pheochromocytomas produce large amounts of each of these hormones, the effects on blood pressure are typically very dramatic. Almost all patients with pheochromocytomas have elevated blood pressure, and the hallmark of high blood pressure caused by this condition is extreme blood pressure swings during the day. All of these symptoms can be caused by different diseases, so it is important to be examined by a doctor. Most pheochromocytomas are actually discovered incidentally (“by accident”) during some type of imaging study (MRI, CT Scan) done for an unrelated problem. Tumors discovered in this way usually look like a small lump or mass located in the area around the kidneys. Family history or certain types of symptom profiles might indicate to a doctor that a pheochromocytoma may be present. These tumors are also linked to certain, rare genetic conditions. Diagnosis usually involves measuring several blood hormone levels over a short period of time (24 hours is typical), as well as taking pictures of the whole chest and abdomen. Sometimes “challenge tests” are conducted, where the doctor will inject one substance, wait a short period of time, then draw blood and check to see if the injected substance increased the number of other hormones in the blood. All pheochromocytomas need to be surgically removed. 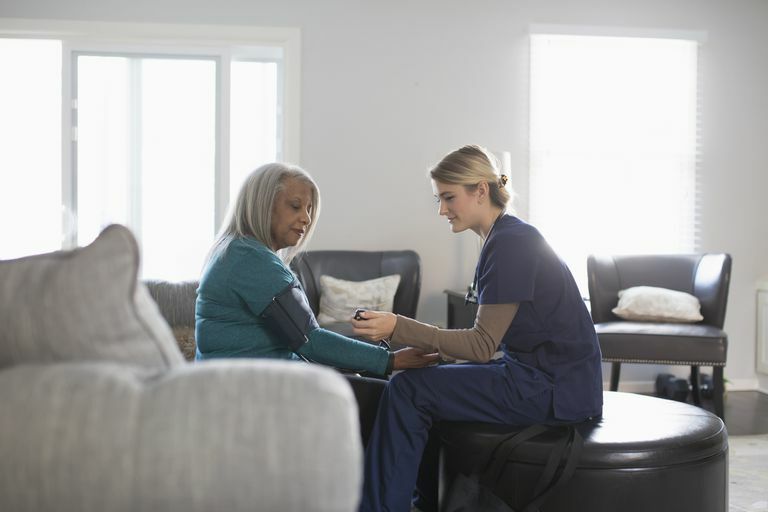 While blood pressure is typically not a factor in deciding whether or not to perform surgery, this is one of the rare cases where some attempt is made to reduce blood pressure before the surgery is done. The reasons for this are complicated but relate to the fact that this is a high-risk and potentially dangerous surgery. To minimize the risk, a standard set of steps is usually undertaken, though some of these steps tend to raise blood pressure. Since the blood pressure is usually already elevated, further increases can be dangerous. The actual surgery will be performed by a specialist and special tests will be done both during and after the surgery to ensure that the entire tumor was removed. Baguet, JP, Hammer, L, Mazzuco, TL, et al. Circumstances of the discovery of phaeochromocytoma: a retrospective study of 41 consecutive patients. European Journal of Endocrinology 2004; 150:681. Bravo, EL. Evolving concepts in the pathophysiology, diagnosis, and treatment of pheochromocytoma. Endocrinology Review 1994; 15:356. Oishi, S, Sasaki, M, Ohno, M, et al. Periodic fluctuation of blood pressure and its management in patients with pheochromocytoma. Case report and review of the literature. Japan Heart Journal 1988; 29:389. Stein, PP, Black, HR. A simplified diagnostic approach to pheochromocytoma. A review of the literature and report of one institution's experience. Medicine (Baltimore) 1991; 70:46. Ulchaker, JC, Goldfarb, DA, Bravo, EL, Novick, AC. Successful outcomes in pheochromocytoma surgery in the modern era. Journal of Urology 1999; 161:764.